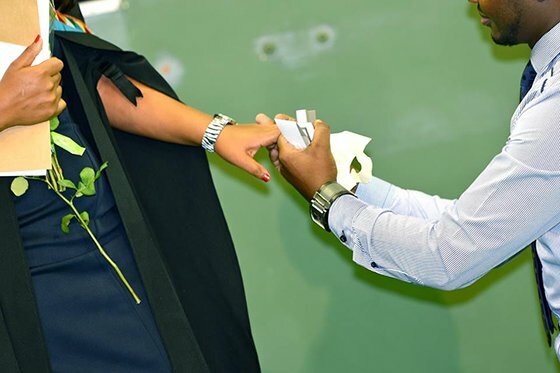 It was an educated risk for a Pietermaritzburg man who got down on one knee during his girlfriend's graduation ceremony. 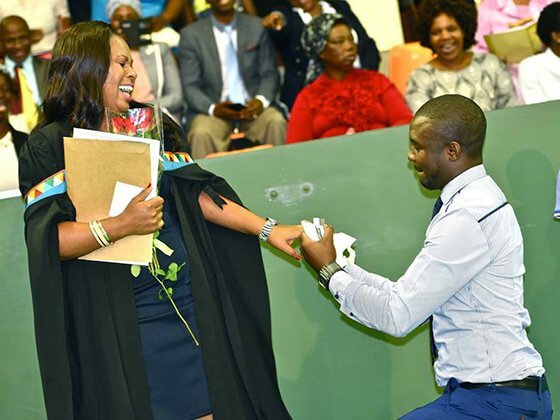 Medical Biology Masters student Sanele Mhlungu proposed to Nosipho Nguse on Saturday during her graduation at UKZN's Westville campus. 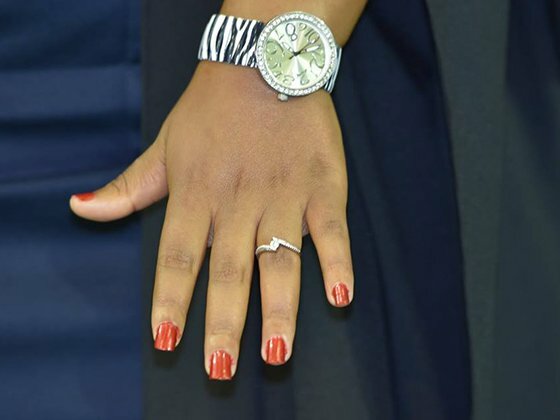 Twenty-five-year-old Mhlungu says their families already started lobola negotiations in December but the proposal was a surprise he'd been planning for some time. "It's something that I've always wanted to do but then I needed the perfect moment to honour someone that I love and someone who values education like I do. I've been motivating her to study and I knew that when she graduates I'll do something special for her. "I bought the ring on Friday and the flowers on Saturday. When she received the award, I was there - waiting for her. Seeing her with her beautiful smile, I was so happy and excited," he said. Nguse, who is also 25 and from Howick, is still beaming from the moment. "Oh my gosh, it was so exciting. I was surprised and shocked at the same time. I was happy," she said. 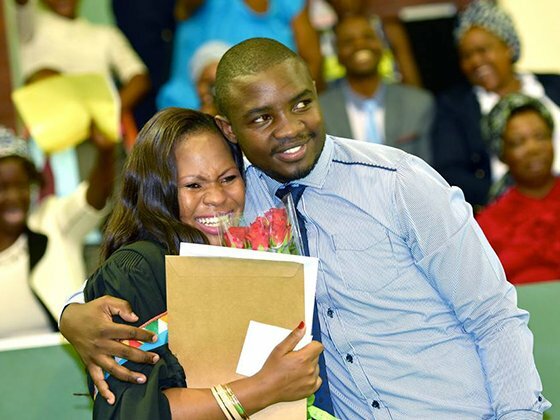 Nguse, who is a teacher in Umlazi AA section, has described her future husband as quiet, shy and very romantic. The couple have been together for three years. They have not yet set a wedding date.